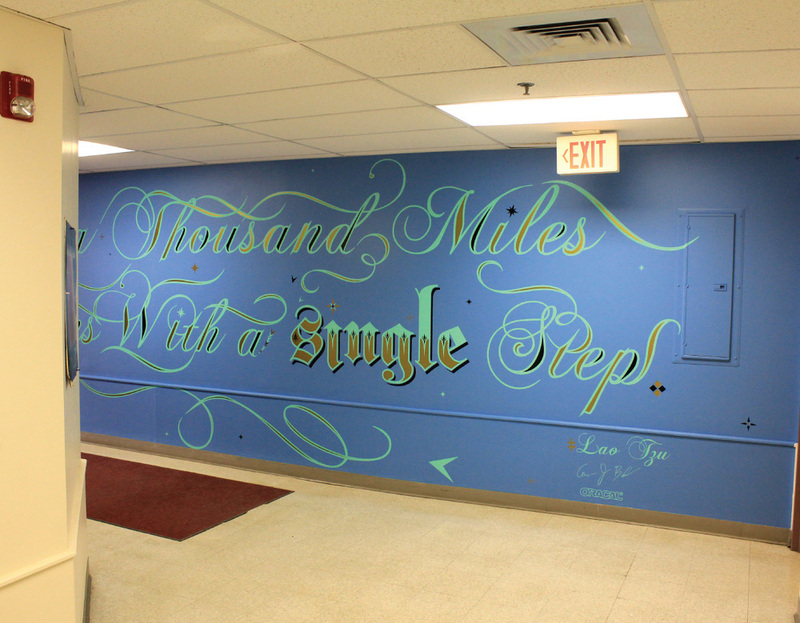 This piece was created as inspirational artwork for the daily attendees at the Northeast ARC. It was meant to be both mentally and visually inspiring and remain soothing at the same time. It was great to see so much enthusiasm everyday as we were installing this piece. Thanks to Oracal Americas also for supplying vinyl for this piece.